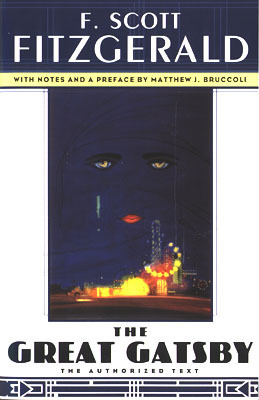 Description: F. Scott Fitzgerald's masterpiece, stands among the greatest of all American fiction. Jay Gatsby''s lavish lifestyle in a mansion on Long Island's gold coast encapsulates the spirit, excitement, and violence of the era Fitzgerald named `the Jazz Age''. Impelled by his love for Daisy Buchanan, Gatsby seeks nothing less than to recapture the moment five years earlier when his best and brightest dreams - his `unutterable visions'' - seemed to be incarnated in her kiss. A moving portrayal of the power of romantic imagination, as well as the pathos and courage entailed in the pursuit of an unattainable dream, The Great Gatsby is a classic fiction of hope and disillusion. "I couldn't forgive him or like him but I saw that what he had done was, to him, entirely justified. It was all very careless and confused. They were careless people, Tom and Daisy - they smashed up things and creatures and then retreated back into their money or their vast carelessness or whatever it was that kept them together, and let other people clean up the mess they had made ..."
I listened to this one years ago and didn't care for it. I really disliked the characters and the writing just didn't make up for it. I wonder if I sat down and read it now if it would be better? Probably not Stacy -- I agree with you I disliked the characters!